Central rallies past Loras with seconds left on the clock. Despite another heartbreaking loss, the improvement in this year’s team is undeniable. The Duhawk football team lost a heartbreaker to the Dutch of Central College on Saturday, Nov. 10. Despite amassing an early 17-0 lead, the Duhawks lost 37-34, the difference being a late field goal by Central kicker Jon Alberts. This concluded a 4-6 season for the Duhawks. Senior Brad Boelkow opened up the scoring with a seven yard grab from sophomore Noah Sigwarth. Later in the first quarter, sophomore Nick Farfan nailed a 22 yard field goal. Sigwarth rushing a touchdown led to a 17-0 Duhawk lead after one quarter. The Dutch managed to trim the lead to 14 heading into the half, with the score sitting at 24-10. The Dutch quickly tied the game in the third, but a 22 yard touchdown from senior Cody Mighell brought the Duhawks back into the lead. Senior running back Cody Mighell has the ball knocked out by Dutch defenders near the end zone. The Duhawks recovered the fumble and scored on the following play. With the score knotted at 34, the Dutch had the ball. They effectively ran out most of the time on the clock, and Alberts kicked an 18 yard field goal to take the lead with two seconds left on the clock. Sigwarth’s ensuing hail mary attempt fell incomplete, and Central came away with the victory. Senior wideout Brad Boelkow finished an extremely productive career, ending with 137 career receptions for 2,253 yards and 19 touchdowns. Despite the 4-6 record, there were many positives for Coach Steve Helminiak’s squad this season. 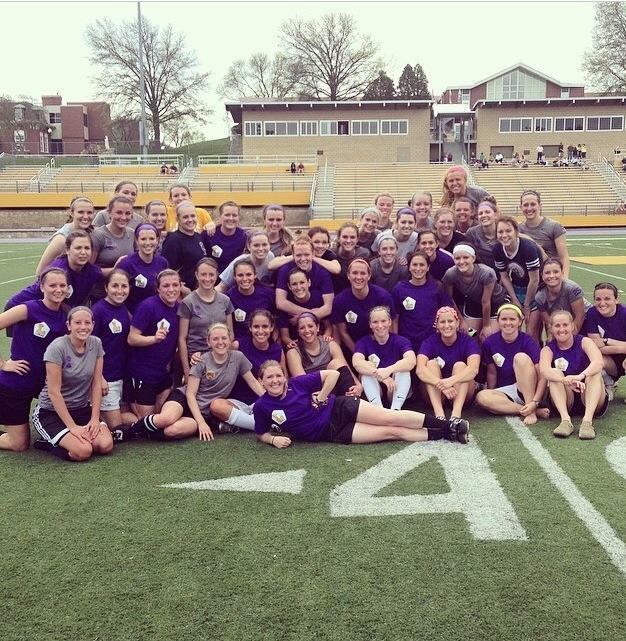 The Duhawks were essentially 16 points away from being in the discussion for a conference championship. 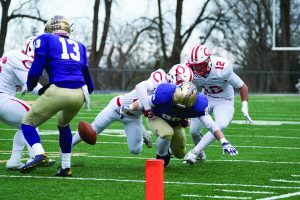 The losses to Coe, Central, Simpson, and the University of Dubuque were all decided by a score or less. 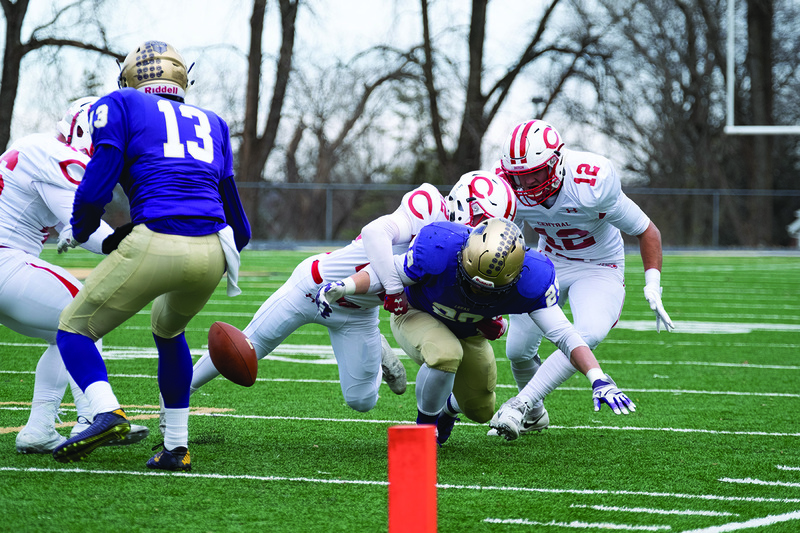 Despite the graduation of Boelkow and senior Cody Mighell, Loras returns a multitude of offensive weapons next year, with Sigwarth, first-year Elijah Thomas, junior Sam Maloney, and sophomore Mike McDevitt all back. 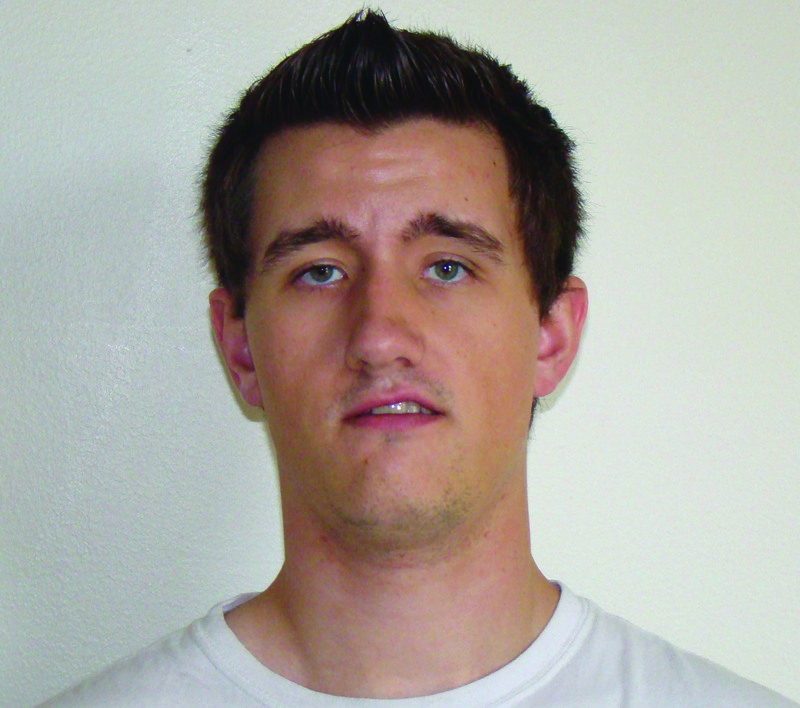 The receiving corps will also benefit from the return of junior James Dunican, who was out all season with an injury. Marty McGovern, a first-year out of Chicago St. Patrick, saw some action this season and figures to be an important part of next year’s offense. Next year should be an exciting season in the Rock Bowl. Special thanks to Mr. Jimmy Naprstek and the Sports Information Department.